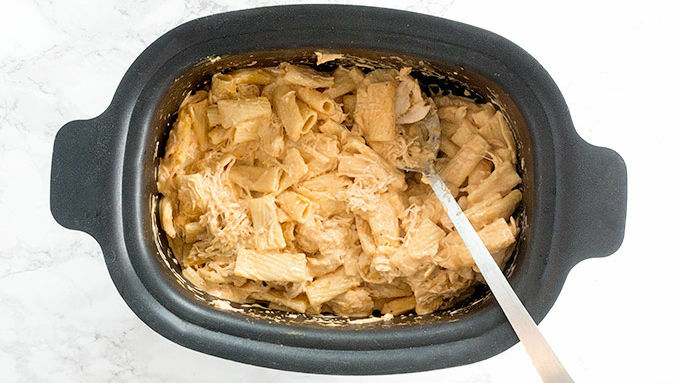 Place chicken, broth, hot sauce, and ranch seasoning in a 5-quart slow cooker set to high. Cover and cook for 3 hours and 15 minutes. 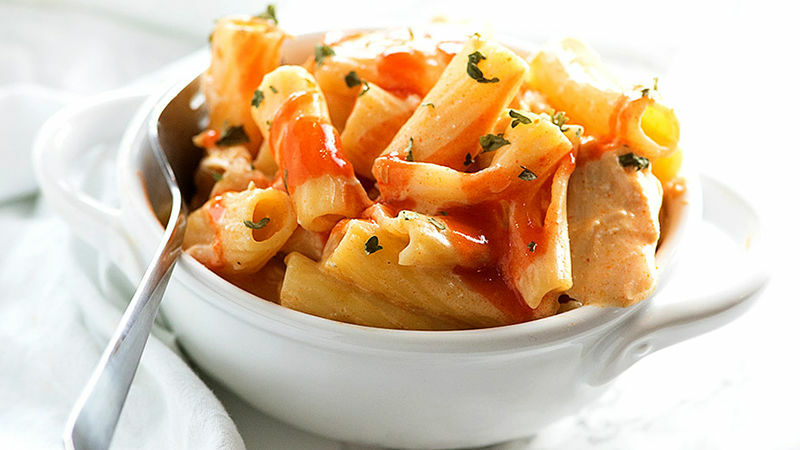 Add rigatoni to the slow cooker. 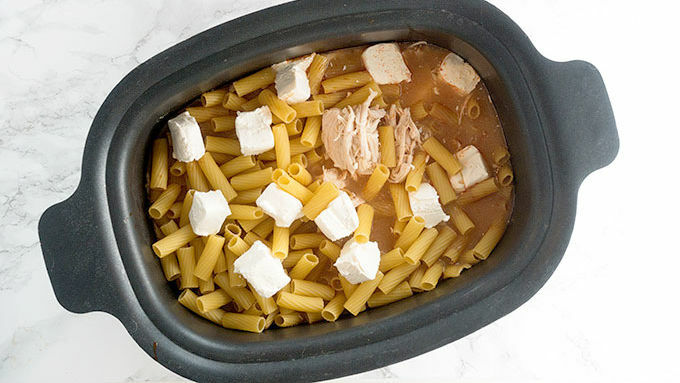 Cut the cream cheese into small pieces and place in slow cooker. Stir well, being sure that the pasta is in the liquid. Cover and cook 15 minutes. Stir well and then cover and continue cooking for 15 more minutes. Stir the pasta, top with cheese, cover, and continue cooking for 5 minutes or until pasta is tender. Stir once more and use a slotted serving to transfer to a serving dish, leaving any remaining liquid in the bottom of the slow cooker to discard. 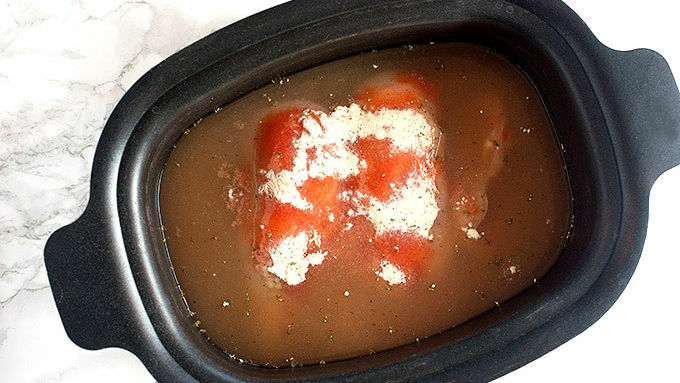 There may be a bit of liquid in the bottom of the slow cooker after the dish is finished cooking. This is to ensure there is enough liquid to properly cook the pasta. Serve with extra hot sauce or a drizzle of ranch dressing.